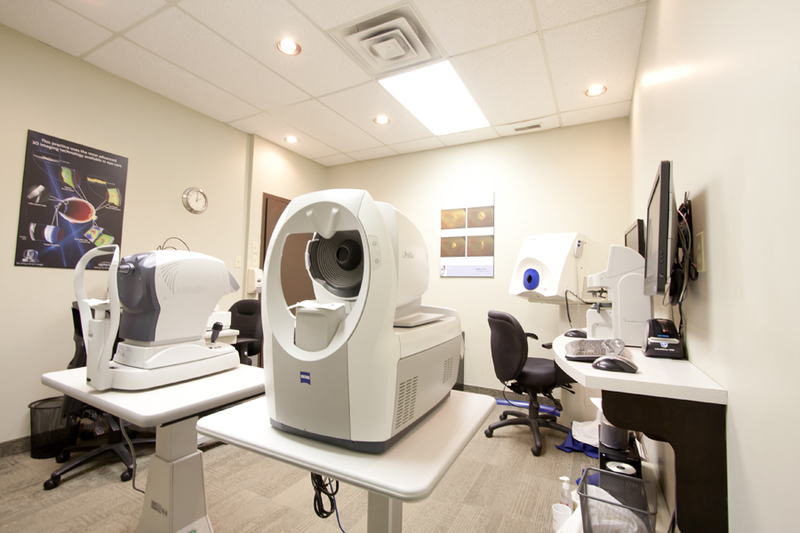 AFO1H offers comprehensive, affordable eye exams for both spectacle and contact lenses. Detailed Pre-testing examination - It is Conducted by one of our highly trained optical technicians. This information will be reviewed, interpreted, and discussed with the patient by the Dr. Visual Field Evaluation (checks the neural integrity of the connection from the eye to the brain). Looks for characteristic signs of tumors, systemic and vascular disease affecting the eye, stroke, and any vision loss that needs to be accounted for. Pachymetry - Measures corneal thickness which may be predictive for many eye related diseases. Topography - A contoured picture mapping the detail of the shape and contour of the cornea (front of the eye). Important in discovering and diagnosing many corneal diseases associated with poor or distorted vision that cannot be corrected with contact lenses or spectacles. Also, necessary measurement for fitting Contact Lenses. Auto-Refraction - Measurement approximating patient’s refractive state (Nearsighted, Farsighted, Astigmatism). Used by the Dr. to refine and determine final prescription for both spectacles and contact lenses. Refraction - Determining and recording patient’s actual prescription. Slit-Lamp Exam-Examines the anterior portion of the eye for associated signs of ocular disease. Retinal Exam - Examines the middle and posterior aspects of the eye for associated signs of systemic and ocular disease. Patient Education - Dr. will discuss and explain all pertinent findings of the exam with the patient. Contact Lens Exams include all of the above, plus a trial lens fitting and 2 follow up visits (if necessary). We also offer Contact Lens Packages which include a 3, 6, or 12 month contact lens supply with prices so low, it's almost wholesale. Come in and see us soon for your Exam.